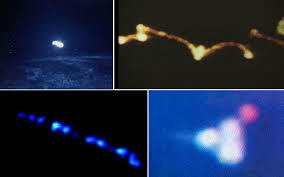 Here a small compilation of 8 unexplained and mysterious light phenomena reported around the world. Our nature is somehow magic. Enjoy! The Marfa Lights (Marfa ghost lights), is an unexplained phenomenon observed near U.S. Route 67 on Mitchell Flat east of Marfa, Texas. Although most believe it is paranormal (ghosts, UFOs, …), others think it is a mirage created by sharp temperature gradients between cold and warm layers of air. Finally, scientitst suggest the Marfa lights are actually vehicle lights passing by on Highway 67. I prefer the ghost explanation! This mystery light appears near railroad tracks in a wooded area of Gurdon, Arkansas. The light is has been observed in all colors (blue, green, white, orange). This weird orb appears at different locations and either during day or night. Folklore says that the light is from a lantern of a railroad worker who was killed when he fell into the path of a train. This mysterious light phenomenon is observed in the Hessdalen valley in the municipality of Holtålen in Sør-Trøndelag county, Norway. Get more information about these unexplained orbs here. The Paulding Lights are also known as the Lights of Paulding or the Dog Meadow Lights. They appear in a valley that just outside Paulding, Michigan. But it is a new phenomenon: Reports have started since the 1960s. Popular culture suggests these lights are unexplained (ghosts). 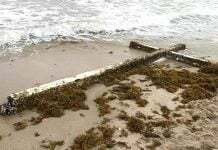 Others believe they may be created by geologic activity, or swamp gas. Finally, scientists defined these mysterious orbs as automobile headlights on a specific stretch of US Highway 45 (US 45). The Spooklight is also known as the Hornet Spooklight, Hollis Light or Joplin Spook Light. 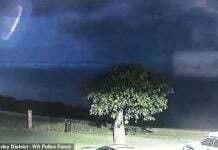 It is a mysterious phenomenon experienced on the “Devil’s Promenade” on the border between southwestern Missouri and northeastern Oklahoma west of the small town of Hornet, Missouri. It is a single ball of light or a tight grouping of lights appearing ususally at night. One of the legends trying to describe the origin of the mysterious spooklight involves the ghosts of two young Native American lovers looking for each other. Magic! Also called St. Louis Ghost Light and St. Louis Ghost Train, The St. Louis Light is a supposed paranormal phenomenon seen near St. Louis, Saskatchewan, Canada. It is described as a strange light zigzagging up and down along an old abandoned rail line at night. The flying orb even changes color and brightness. Although the train tracks have been removed the strange visual phenomenon is still witnessed on a regular basis. Is it a ghost train, or a ghost having lost his head? Nothing is more sure! A physics student has suggested that the phenomenon was created by the diffraction of distant vehicle lights. But the mystery is unresolved since the light has been seen even before cars were invented! Have you ever witnessed one of these mysterious light phenomena? If yes, please describe your experience in the comments below! 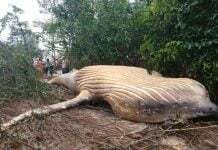 Humpback whale found dead in the Amazon JUNGLE? What the heck! It’s miles away from its NATURAL HABITAT!